Sit N’ Go’s used to be easy money, but they’ve become tougher over the years. Some of the elements that you’ll need to know inside and out are Independent Chip Model equities, solid bubble play, heads-up poker, and more. The strategic impacts of these factors aren’t necessarily obvious, and that’s why you can’t just jump into the games and become a winner without a significant amount of study. Yet, there are many advantages to SNGs, including the fact that you can put in significant volume in a short amount of time. With the articles presented below, you can improve your return on investment and take home the money. Whether you play turbos, satellites, or hypers, and regardless of your preferred stake level, you’ll find these pages quite useful in enhancing your knowledge about sit-n-go tournaments. Whenever you read poker strategy guides or books, you must be prepared to study them carefully. Merely skimming the contents will not advance your game very much at all. You should always consider the strategic implications of anything you read to get the maximum value from it. Many people are contemplating getting started in low-stakes SNGs. By following a few tips for what to do at the tables and what to avoid, you’ll be well on your way to success. While you’ll want to consider each decision separately, these guidelines will serve you well as you get started. There are a lot of strategic concepts involved in proper Sit and Go play. By learning how to wield your stack as a weapon, playing appropriately tight and developing proper preflop ranges, you’ll be well on your way to beating the games. You’ll also need to consider what other players are doing. Basic heads-up SNG scenarios are often much more complicated than they seem, and game theory helps us to understand why. There are important differences in play between single-table and multi-table SNGs. There are other important considerations if you’re playing satellite Sit and Gos. Regardless of the type of SNG you play, you should observe your opponents and take relevant notes on them. 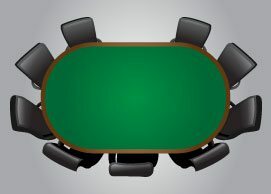 Multi-table turbo SNGs on PokerStars are a faster-paced variant on normal Multi-table SNGs. You won’t have much time to wait around, so it’s important to try to accumulate chips early. When stacks are 10bb or less, be prepared to shove liberally to exploit fold equity. The pre-flop and post-flop games change when you play 10+ big blind stacks with a pre-flop raise that is not all-in. In order to increase your hourly while playing SNGs, you may decide to multitable. You can try to stagger the starting times of your tournaments to make the process easier for you. Any SNG player can improve his or her results by learning to bluff well.